Today’s guest on the show is David Haughton. 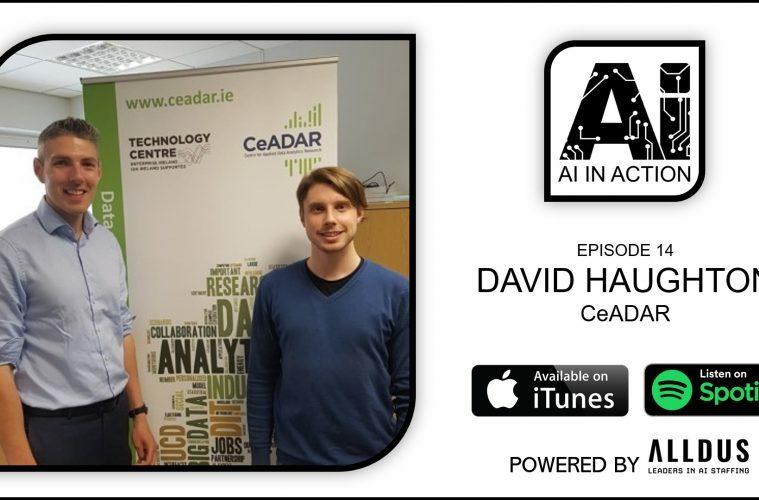 David is a Data Science Architect with the CeADAR Centre for Applied Data Analytics. David completed his PhD in UCD in the area of information embedding in DNA and his research background is in signal processing, bioinformatics and steganography. After completing his PhD, he worked for a media monitoring company Kantar Media before joining up with CeADAR in 2016. David’s interests are focused on big data analytics and blockchain. What did you make of David’s podcast? Where do you see the future of Artificial Intelligence and blockchain heading in the next few years? I would love to hear your thoughts so please leave a comment below.